Six years ago Jonathan Fuller and Alan Gardner brought professional theatre back to Birmingham without using a theatre. They named their new group City Equity Theatre, a riff on an old Birmingham bank that states plainly that the group would be professional, “an Equity theatre,” referring to Actors’ Equity Association, the 99-year-old union that represents the 49,000 working theatre actors and stage managers, something Birmingham was again without in 2006. Rich in community and semi-professional theatre for decades, Birmingham has historically had few opportunities for working actors. City Equity is the only group in Birmingham operating its season on an Equity contract. (The only other such theatre in the entire state is the Alabama Shakespeare Festival.) In comparison, there are no fewer than eight Equity theatres in South Carolina. Even Alaska, barely more populous than Jefferson County, has three Equity theatres. City Equity has remained small, performing mostly in venues with fewer than 100 seats and usually producing only two shows a year, but it has done what others have failed to do: survive. The group is now the longest-running professional equity theatre in Birmingham history. While City Equity has been conservative financially, its choice of material is closer to the edge, tackling, along with Mamet (last year’s Race was its second play by the Pulitzer Prize winner), other contemporary heavyweights like Martin McDonagh (The Cripple of Inishman) and Terrence McNally (Frankie and Johnny in the Clair de Lune). 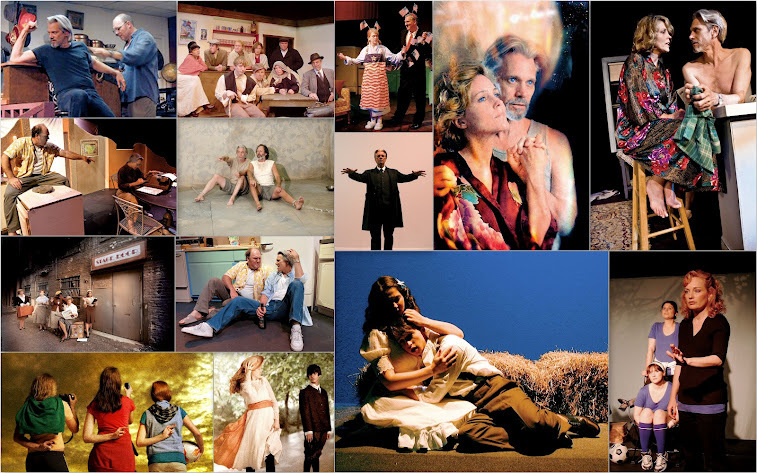 The 2008 season was all Sam Shepard: True West and The God of Hell. “I think someone coming to their first CET production will notice that the acting and direction is much stronger than Birmingham’s usual fare,” Fuller said. The local critical response has been in agreement with Fuller. “We look for roles that offer actors a chance to creatively and artistically grow and stretch,” Fuller said. Superior Donuts, City Equity’s 13th production, has a pedigree that makes it perfect bait for Gardner and Fuller. The first work by Tracy Letts after he won the Pulitzer for drama and the Tony for best play for August: Osage County, Superior Donuts was premiered by Chicago’s famed Steppenwolf Theatre four years ago and opened on Broadway in 2009, picking up a Tony nomination. With City Equity’s production, Birmingham joins a small list of cities — mostly big theatre towns — where Superior Donuts has been produced, including Boston, Philadelphia, Portland, Ore., San Diego, Calif.,and Washington, D.C.
Running June 7-17 in the Virginia Samford Theatre’s Martha Moore Sykes Studio, Superior Donuts should chamge the perception that City Equity produces only heavy, intense material, a reputation both earned and deceiving. While City Equity’s most serious plays no doubt made big impressions, its offerings have also included Gardner’s affable Teddy Roosevelt in the one-man Bully!, and comedies both classic (Stage Door) and darkly contemporary (Cripple of Inishman). City Equity also offers an extraordinary benefit to local actors with professional ambitions. Through City Equity, it’s now possible for actors in Birmingham to get a union card and continue to work in any theatre in town, as well as go to a larger market and more easily get auditions for professional shows. “We have made seven local actors full Equity members since 2008,” Fuller said with satisfaction. Fuller is even prouder of his new program offering the Equity Membership Candidacy Program to the students of the Alabama School of Fine Arts, where he teaches, a program Fuller lobbied the union for. In two City Equity shows last year, ASFA students worked alongside professionals and earned credit toward full Equity membership. Thirty-six ASFA students and three adult actors joined the Candidacy program. “The program puts actors, students and adults, on the road to making a full living in the theatre,” Fuller said. One ASFA student is on track to be an understudy for the first national tour of Broadway’s The Scottsboro Boys, a direct benefit of his EMC candidate. “We want to keep raising the bar in Birmingham theatre and become Birmingham’s nationally recognized professional regional theatre,” Fuller said. City Equity will do that by continuing to “choose material we find artistically challenging and professionally credible,” Gardner said. Next year City Equity will have the tools it needs to make its goals: the rights to add August: Osage County, one of the most acclaimed and ambitious non-musicals of the last decade, to its 2013 season, along with a collaboration with the Aldridge Repertory Theatre for a production of the 2009 Pulitzer winner, Ruined, which is set in a brothel/cabaret in war-torn Congo. And it’s a musical. Posted on Friday, May 4th, 2012.